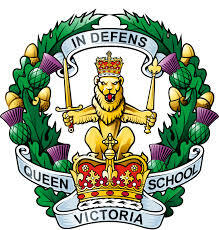 The Duke of York’s Royal Military School is a non-selective state boarding school with Academy status for pupils aged 11 to 18. Located in Dover, Kent the school is an ideal choice for those living in the UK and Europe as we are close to the ferry port and Eurotunnel, and an hour’s train journey from London St Pancras. Set in 150 acres of Kent countryside, your son or daughter will feel safe and secure in our close-knit community. The school offers a broad range of GCSEs and our success rate is significantly higher than the national average. 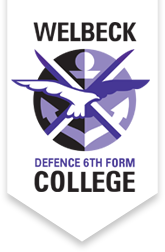 In the sixth form a wide range of courses are available. The curriculum is constantly under review and we respond positively to pupil feedback. Qualifications recently introduced include GCSE Dance and BTEC Engineering. All our pupils are encouraged to achieve the very best they can. Originally established in 1803 to educate orphaned children from military families, the school continues to maintain and be proud of its strong military ethos. We Troop the Colour each year on our prizegiving day at the end of the summer term, and we mark important commemorative dates in the calendar including Remembrance Sunday with the whole school and military band on Parade. We put particular emphasis on traditional values such as courage, integrity, respect, commitment, loyalty and self-discipline – we believe this helps our pupils develop character and skills for life. 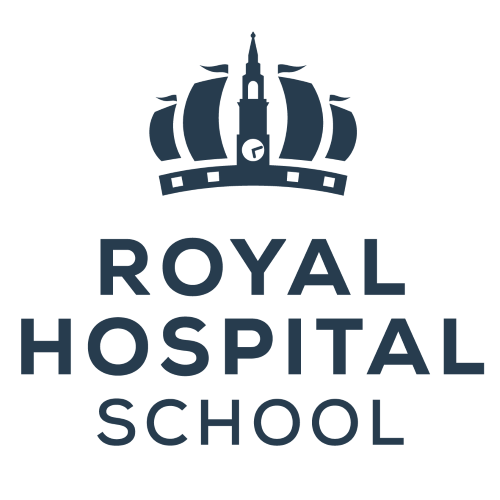 The school often attracts unique opportunities such as performing with the military band at Twickenham and at The Sun’s Military Awards, or being included in The Festival of Remembrance at the Royal Albert Hall. By choosing to live and study with us, your child is choosing to become part of a very special community. It’s extremely important to staff that our pupils enjoy boarding and are able to forge strong friendships. Our experienced housemasters and housemistresses offer excellent pastoral care and support, alongside an in-house team of tutors, pastoral leaders and housekeepers. It’s a busy and vibrant place, especially on weekends, with various activities and trips on offer. A good school is about much more than what is learnt in the classroom – sports, outdoor activities and the Duke of Edinburgh’s Award Scheme continue to play a leading role in the lives of all of our pupils. Extra-curricular opportunities include over 70 clubs and activities (such as Chapel choir, fencing, horse riding and trampolining), while all the key sports are played here including rugby, netball, hockey, cricket and athletics. We continue to work in partnership with a range of different schools locally, nationally and internationally. Most notable was the involvement of pupils in a critically acclaimed production of West Side Story, both in Dover and in the USA, which was put on by pupils in a joint American and British cast. Our £24.9 million building programme is now complete, enhancing our already impressive school site and facilities. New junior and sixth-form boarding houses, a black box drama studio, teaching blocks and a sports centre have all been built. Our facilities include an indoor swimming pool, running track, assault course, astroturf area, squash courts and gym. Annual boarding fees are £13,500 (£4,500 per term) for 2018–19 and education is paid for by the state (to be eligible for a UK state boarding school, at the time of writing, pupils must hold a British or EU Passport, or have the right to reside in the UK). We recommend that pupils join us in Year 7, Year 9 or for the sixth form (Year 12) but will always consider applications for any year group, at any time of the year. Graded Good in all areas by Ofsted. GCSE results significantly above the national average. Every pupil is encouraged to achieve their potential in a supportive community. Military ethos helps develop character and lifeskills. 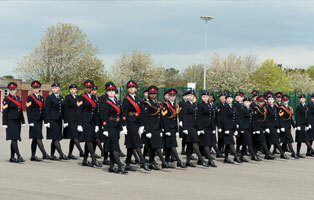 Your child will enjoy an independent school lifestyle with sport, music, drama and CCF. Your child’s laundry, meals and boarding fees are all covered in our yearly charge. We are a busy school with full and weekly boarding which provides many exciting opportunities to develop individual talents. The school is non-selective, but all pupils are invited to a ‘suitability for boarding’ interview. We encourage you to visit us to see what an extraordinary school we are, and we look forward to welcoming you. 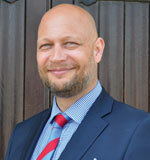 Alex gained his Theology & Philosophy degree from Surrey University, initially teaching PE and Religious Education at Uppingham School in Rutland. 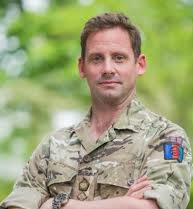 He became Head of Year at an all-boys Leicester city comprehensive and then went on to become Assistant Headteacher and later Headteacher, at King’s School, an MoD school based in Germany. Alex joined the Duke of York’s Royal Military School in January 2017. He has an indestructible attachment to Leicester Tigers and highlights of the year are playing the pupils’ First XIs at cricket and hockey, where he still thinks ‘he’s got it!’.